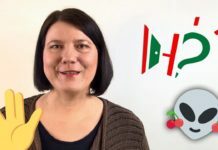 Free Hungarian lesson online: The Hungarian Christmas | How to learn Hungarian? Do you want to learn some Hungarian? 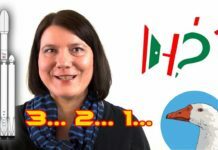 Here’s a free Hungarian lesson online for you. Hungary is a Christian nation, almost with everybody being Christian, Christmas is a national holiday. 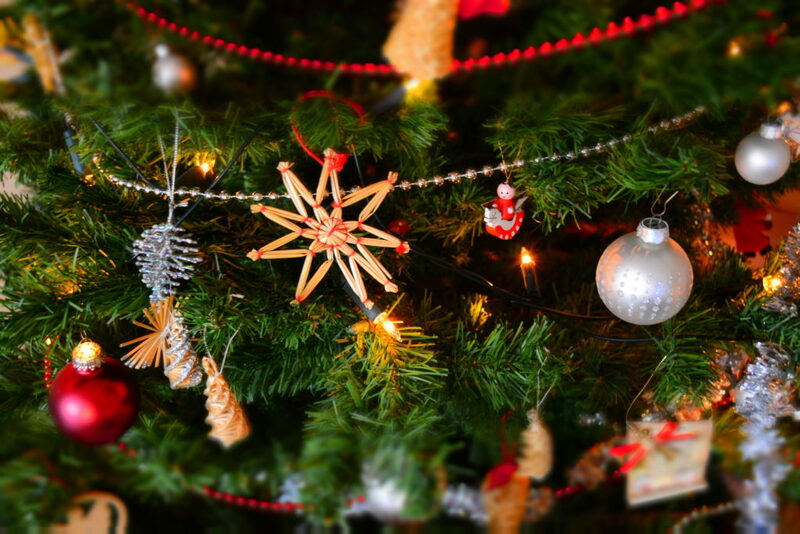 People usually celebrate by going to church, decorating a tree and giving gifts to the loved ones. It is almost the same as in England, you might say. But no, there is a big difference: it isn’t Santa Claus the one, who brings the gifts in Hungary. 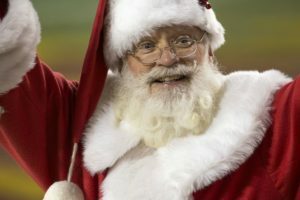 We have Santa Claus as well, but he doesn’t come on Christmas Eve. 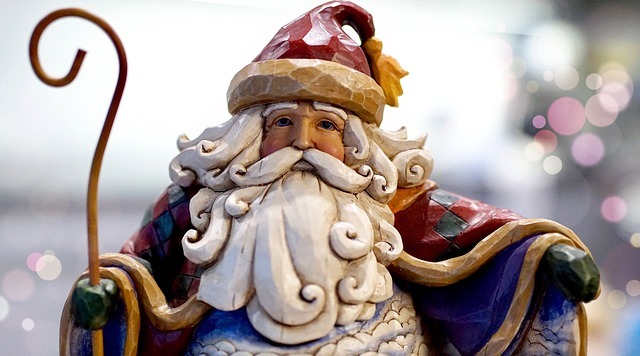 In fact, Santa Claus is called Mikulás in Hungary, and he comes on the night of December 5. 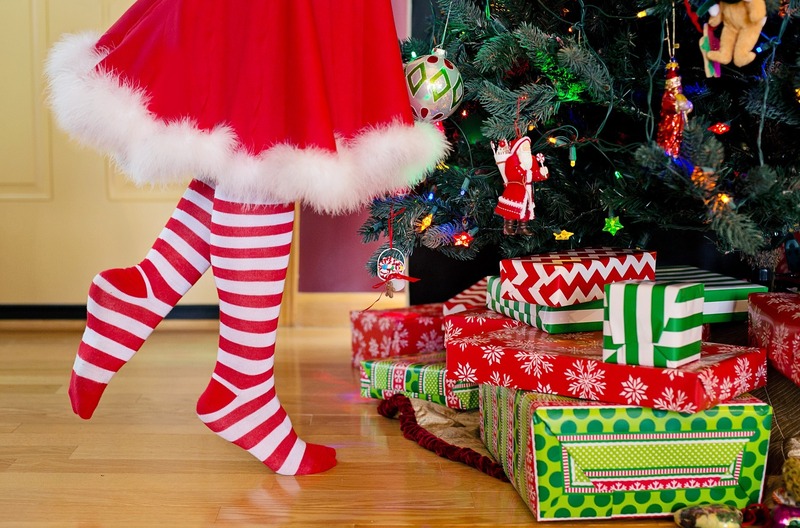 Children put their boots on the window sill on the evening of December 5, and they get it back full of presents in the morning of December 6. 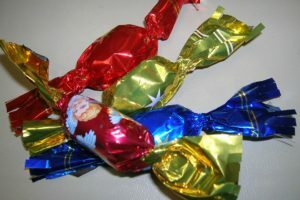 Mikulás usually brings sweets and small toys to children. This is only the start of the gift-season at the end of the year. Before Christmas, every family cleans the house, bakes and cooks and buys gifts. 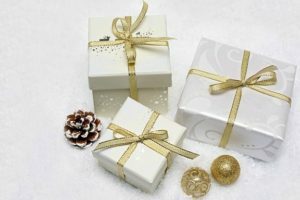 These gifts are usually larger and more expensive than the ones Mikulás brings. On December 24 the family comes together to celebrate. They decorate the Christmas tree and have an extensive Christmas meal. In the evening the children are waiting for the presents. Not all Hungarians get the presents the same way. In Hungary, it is baby Jesus the one who brings all the presents, however, in Transylvania (a region that once belonged to Hungary, now part of Romania, with a lot of Hungarian people living there) it is an angel. After baby Jesus (or the angel) brings the presents, everybody sings around the tree, and as the evening falls, they open their presents. 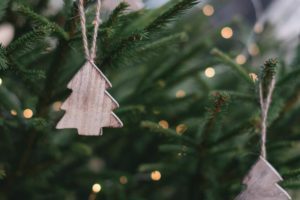 The religious families go to church, sometimes at midnight on December 24, sometimes during daytime on 24 or 25, depending on what church they belong to: Catholic or Protestant. 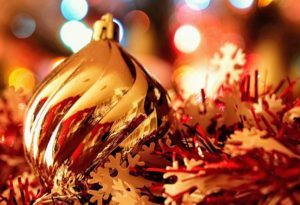 On Christmas Day, December 25 Hungarian people usually visit their extended families or receive the visits from their relatives. 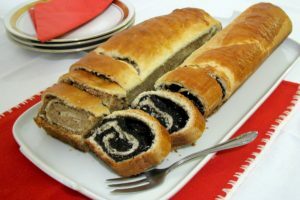 Usually, Hungarian people eat these dishes for Christmas: fish soup, stuffed cabbage, fried fish with potatoes and rice, meats (chicken, pork, goose, duck, turkey), and have bejgli (roll cake) with walnut or poppy seeds as a desert. They also eat a lot of szaloncukor (Hungarian Christmas candy) and gingerbread cookies. They drink a variety of alcoholic drinks: pálinka (Hungarian spirit), wine and beer. The family gathers for Christmas. Az egész család részt vesz a karácsonyfa feldíszítésében. The whole family participates in decorating the Christmas tree. Karácsonykor az ajándékok a fa alatt vannak. The presents are under the tree at Christmas. Magyarországon a Mikulás nem karácsonykor jön. The Santa Claus doesn't come for Christmas in Hungary. Magyarországon a kis Jézus hozza az ajándékokat karácsonykor. 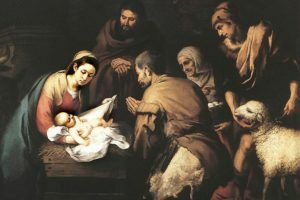 The little Jesus brings the presents for Christmas in Hungary. Sokan járnak a templomba imádkozni. A lot of people go to church to pray. Magyarországon karácsonykor mindenki bejglit eszik. 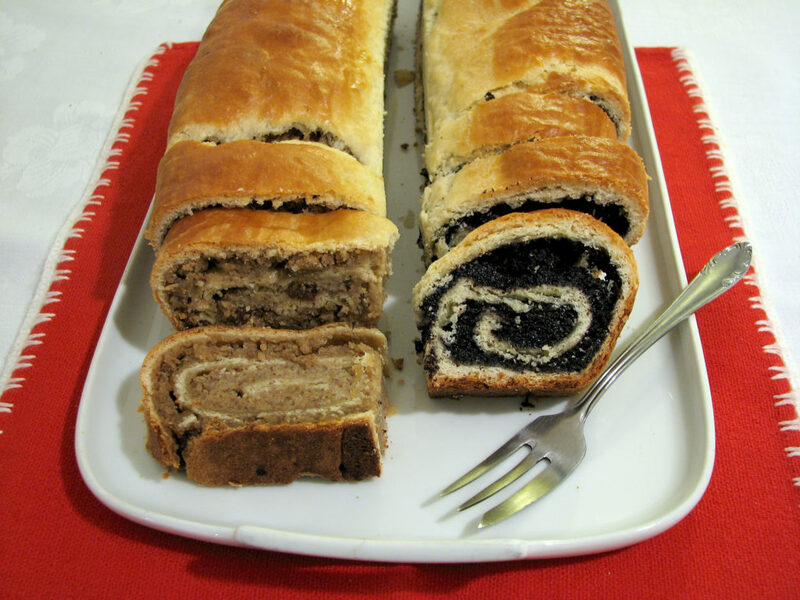 Everybody eats roll-cakes for Christmas in Hungary. 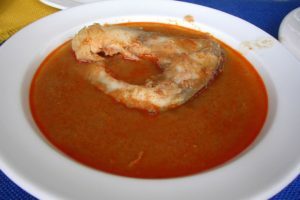 The Fisherman's soup is delicious when it is hot. Édesanyám készíti a legfinomabb rántott halat. 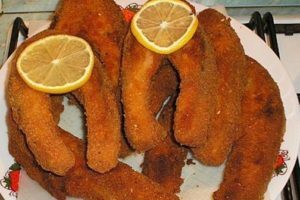 My mom cooks the most delicious fried fish. A töltött káposzta tejföllel az egyik kedvenc ételem. 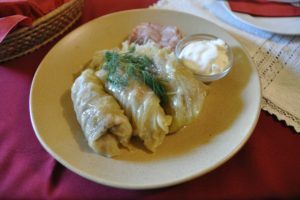 Stuffed cabbage with sour cream is one of my favorite foods. A legtöbben a zselés és a kókuszos szaloncukrot szeretik. Most people like jelly and coconut Chistmas candy. 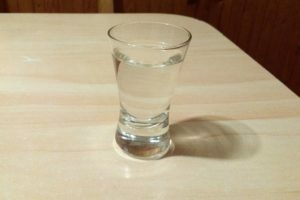 A pálinka Magyarország nemzeti itala. Spirit is Hungary's national drink. And finally, here’s a summary about the average Hungarian Christmas. 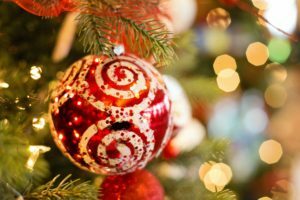 Can you find any common features with how you spend your Christmas? 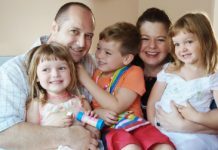 If you liked this post, please, hit the like button, leave a comment and like howtolearnhungarian.com. Consider sharing this article with your friends so they could learn from it, too. Thank you.